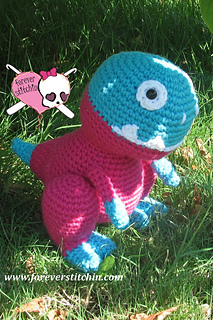 Rachel the T-Rex is 1 of 5 dinosaur patterns that is available in the Forever Stitchin Extinction Pack! 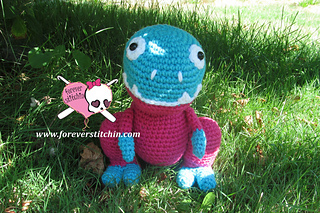 The completed character will be approximately 9 inches tall. 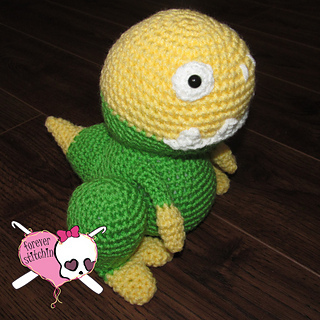 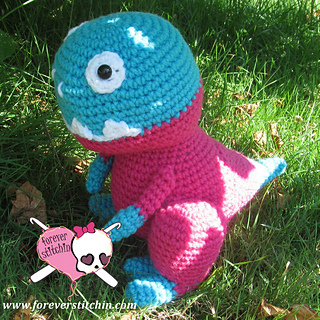 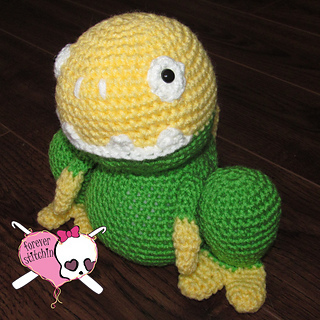 You will need 2 colors and you can use any color (s) you’d like to customize your dinosaur - as well as White yarn and either Black yarn or 2 12mm post eyes, an I/5.50mm crochet hook and a tapestry needle to complete this pattern.